Dell could be coming back to the public markets as the result of an odd reverse merger with VMWare, CNBC reported on Monday. 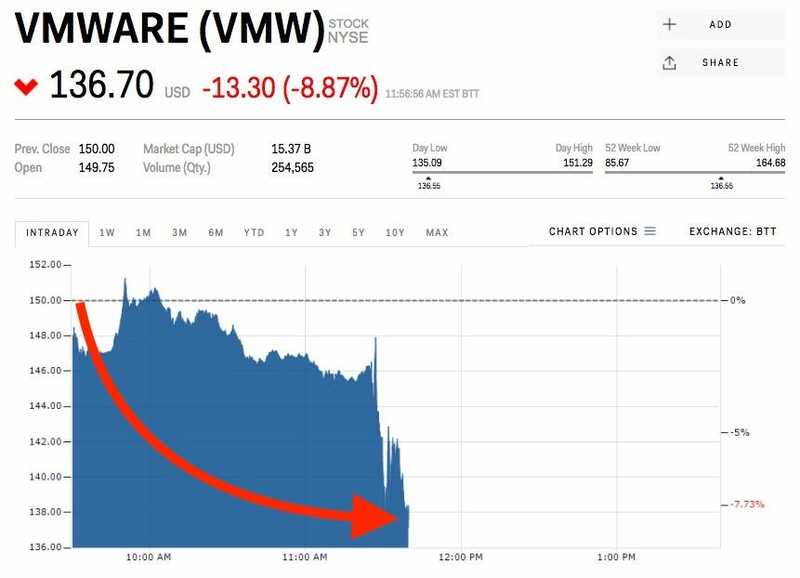 Shares of VMware fell more than 8% on the news, to about $138.61. The reverse merger would involve the smaller VMware taking over the larger Dell, which currently owns 80% of VMware. Dell went private in 2013, and would go through the reverse merger in order to move back onto the public markets without a new public offering. Dell is looking into other methods of going public as well.